I’ve been meaning to make a little reusable snack bag for myself and my daughter for ages but never got to start working on the project because I never find the right vinyl fabric to suit my taste. So I thought I should make my own. In this simple tutorial I’ll show you how to laminate fabric yourself and laminate fabric in the colors and pattern you like and need for your projects. My daughter is pretty crazy about owls and a while back I purchased some fabric with an owl print to make a little Halloween tote bag for her. I keep using it ever since, it seems like this fabric never ends! I’m left with bits and pieces now, perfect for a snack bag project which is an awesome way to use up fabric scraps. 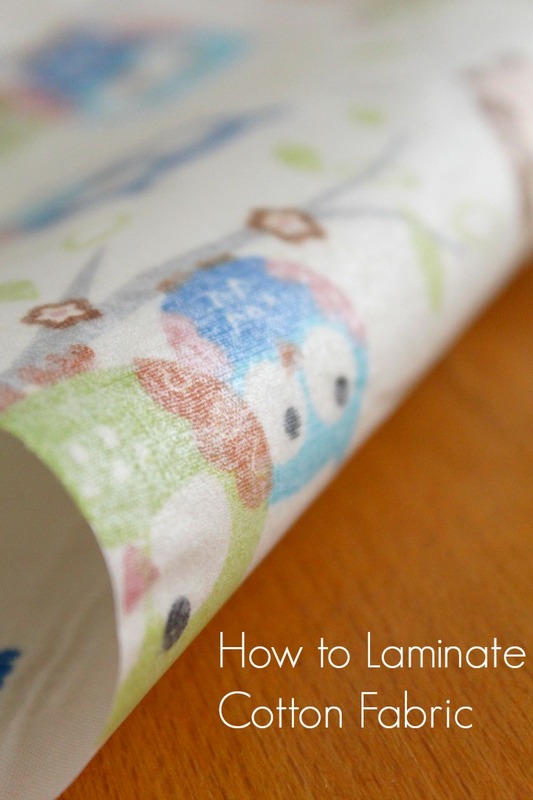 This tutorial on how to laminate fabric is super easy and comes together in less than 5 minutes but the results are a gorgeous laminated fabric you could use on lots of projects that require vinyl or water proof fabric. You can basically laminate any fabric but I found cotton is the easiest to handle and also sturdier than thin fabric or fabric that has a deep texture. Cotton is the ideal fabric for this project and that’s what I’ve used in this tutorial too. For this how to laminate fabric tutorial I used an iron-on transparent film that can be fixed in place and can then be sewn on any sewing machine. It’s suitable for almost all fabrics, can be wiped off with a damp cloth and is comfortable to iron-on. The finished products are protected from getting dirty and the film is also food safe. To clean, just wipe with a damp cloth, do not wash! When sewing with laminated fabric you’re gonna need to treat it like vinyl or leather so you’ll need to use a leather needle and a teflon foot. 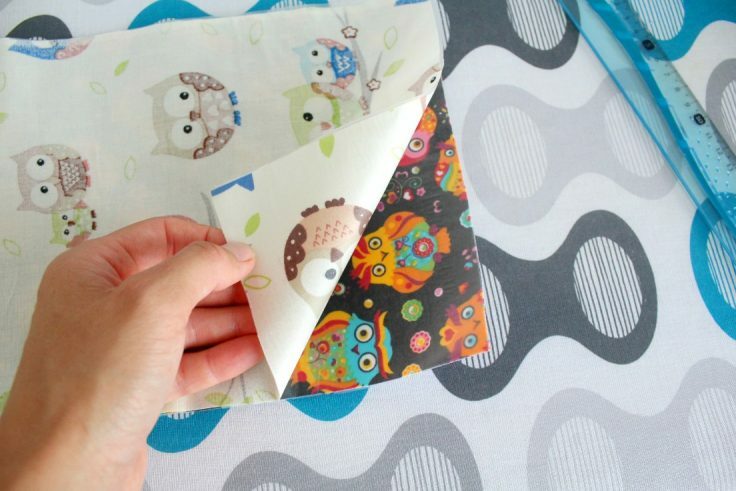 You might also want to check out these tips for sewing vinyl! Laminating fabric is super fun!